Thousands of years ago in India, after Siddhartha Gautama reached nirvana and became the Buddha, immense crowds of inquisitive spiritual seekers would gather to hear his teachings and obtain his blessings. It is said that on one such occasion, a woman by the name of Kisa Gotami came to the Buddha carrying her dead son. The young boy’s unexpected passing had left the mother heartbroken and she began looking for any possible way to bring him back. Upon hearing the news of the child’s death, a neighbor of Gotami told her that she should go see the Buddha, who was in a town nearby. 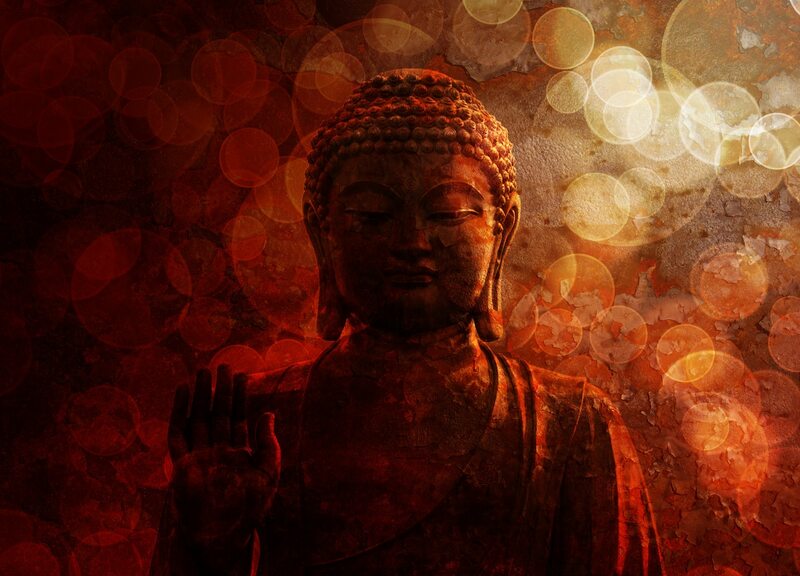 “Go to Sakyamuni, the Buddha,” he told her. Understanding that she had no other choices, Gotami rushed anxiously until she arrived at the Buddha side. “Lord and Master, please give me the medicine that will cure my boy,” Gotami asked the enlightened one. Seeing that the boy had already passed away, but also sensing an opportunity to teach one of his most important lessons, the Buddha replied, “Bring me some mustard seeds from a house where no one has lost a child, parent, sibling, or friend.” Gotami, believing that should she could accomplish the task, rushed around the nearby neighborhoods in search of the mustard seeds. As she went door to door, asking fathers, brothers, sisters, and mothers, however, Gotami began to realize that there was no such house. Yet still, she felt obligated to bring the mustard seeds that she had gathered to the Buddha, hoping that this wouldn’t be the end for her son. This ancient Buddhist parable brings to our attention the Buddha’s teachings on The 3 Marks of Existence. Although we may not believe it to be so, each and every human beings’ life is characterized by the 3 marks of impermanence, unsatisfactoriness, and non-self. Before one is able to successful reach the covenant state of Nirvana, by taking the Noble Eightfold Path, they will have to understand the reasons why humans suffer. The Buddha told us that everything in this world is marked with three characteristics that we unknowingly remain ignorant towards. By gaining insight into The 3 Marks of Existence, and removing our ignorance towards these universal truths, we can move closer to freeing ourselves from the suffering that we regularly incur. The 3 Marks of Existence more thoroughly build upon the first two Noble Truths by telling us how and why humans suffer. As we previously pointed out, The 3 Marks of Existence are: Impermanence, Unsatisfactoriness, and Non-Self. As the story of the mustard seeds shows, all living beings are subjected to the ultimate reality of death. This clearly means that the lives of every person and animal are impermanent in nature, yet still, this fable doesn’t expand fully on the mark of impermanence. The Buddha additionally told us that all phenomenon at the physical realm, including our cognitions, emotional states and external environments, are in a state of constant change and fluctuation. Unfortunately, because we remain ignorant to this truth, each of us becomes attached to pleasurable experiences, people, and things. Similarly, we try to limit our exposure of negative objects, individuals, and events. Once becoming conditioned to these perceived positives and negatives, humans begin searching for only pleasurable experiences, thinking that liberation can be found this way. The truth of the matter is, however, that this is not possible because both positives and negatives are impermanent in nature. Experiencing pain and suffering at physical, mental, and emotional levels. Ignorantly attaching ourselves to pleasurable, yet impermanent, things. Being affected by outer circumstances, conditioned states, and unmet expectations. By examining the life cycle of human beings, it becomes clear to see how unsatisfactoriness is a natural part of the living process. The experience of being born is painful in and of itself, just as the process of growing old, becoming sick, and eventually passing away. The Buddha told us that all conditioned phenomenon is unsatisfactory in nature, and only by understanding this truth can we begin to let go of our desires for our lives to be a certain way. The third mark of existence, which we similarly remain ignorant towards, is the mark of non-self. If you take the time to ask yourself ‘Who am I?’ and explore the parts of your being that you believe yourself to be, you will discover an illusion of the greatest type. The Buddha taught us that the ego is made up of numerous aspects, such as our bodies, thoughts, emotions, beliefs, and reactions, however, that these personal characteristics aren’t as solid as we believe. We come to think that there is a definitive ‘I,’ but when we break these parts down, it becomes clear to see how this isn’t the case. Your physical body, for example, is nothing more than trillions of energetic cells moving together in a synchronized way and your cognitive state is continuously changing depending upon the situations you find yourself in. While we ignorantly claim ourselves be solid and real, the truth is that our idea of ‘self’ has no solid basis to stand upon. In fact, each and every moment, both you and I are evolving and changing in a responsive and dynamic way. By understanding The 3 Marks of Existence that the Buddha taught, each of us can begin to live more freely, release our need to cling to positive people, objects, and experiences, and more adequately handle the inevitable turbulent times. Additionally, by regularly reflecting on these truths, each of us will be more able to relinquish our need to control situations, let go of our fears, suffer less, and begin to enjoy the bountiful gift that can only be found with present moment acceptance.